The Homestead Bayfront Beach Project is a project in association between the University of South Florida and Biscayne National Park. It addresses the need for heritage management and preservation. These goals were outlined by Biscayne National Park. Work started in the Fall of 2011 By Masters student, Iyshia Lowman and Dr. Antoinette Jackson, Associate Professor, who are also the research team as well as active participants. The key contributor is Charles Lawson, archeologist at Biscayne National Park. 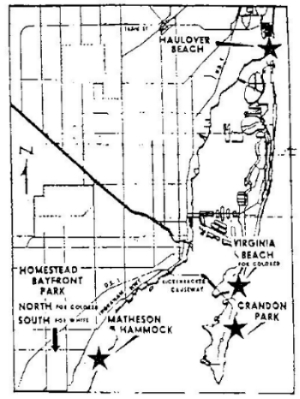 The deliverable to Biscayne National park will be a report/oral history documenting the occurances and experiences during and after the segregation of the beach. Add to the existing database specifically oral histories about events and occurances in the community. 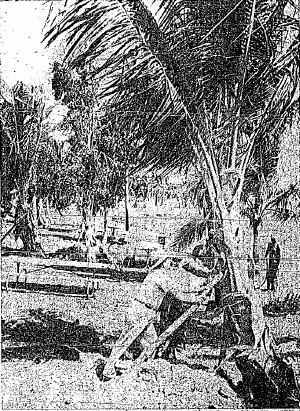 Develop an ethnographic/ethnohistorical profile of Homestead Bayfront Beach and the surrounding Homestead community. Find and analyze print, visual, and oral sources including past and present pictures; maps; census data; and newspaper articles. These sources can and will be used for documentaries, pamphlets, displays, tours, multi-media educational sources, journal articles, and other publications.